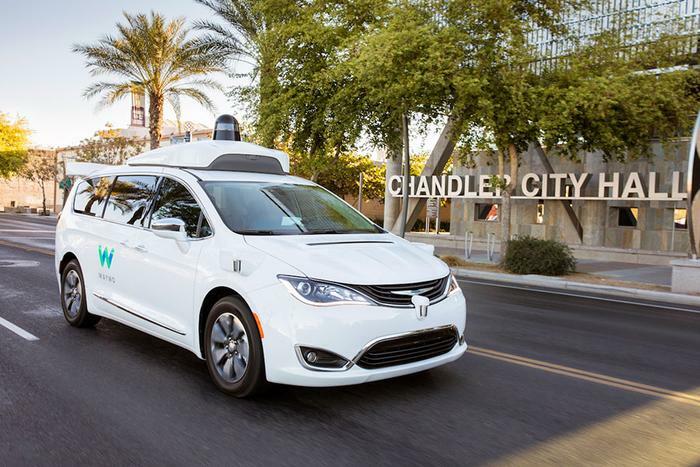 Google's driverless car project, Waymo, is now road testing vehicles with consumer passengers–and no test drivers–in a suburb of Phoenix. Several companies have been road testing autonomous vehicles with mixed results, but consumers riding around in a fully driverless vehicle is a new step. "Google’s Waymo has taken another giant step into the future by ditching the test driver and letting its fleet of vehicles go fully autonomous," Autotrader analyst Michelle Krebs said in an email to ConsumerAffairs. "Central to this effort is Waymo’s push to address the critical need of public trust through experience with consumer test drives and on-demand services." The tests began in mid October and Waymo says they have gone extremely well. It says a small number of Phoenix-area residents have been driven to work, soccer practice and social events in a test minivan. In the coming weeks, Waymo plans to expand the test. "Over the course of this trial, we’ll be accepting hundreds of people with diverse backgrounds and transportation needs who want to ride in and give feedback about Waymo’s self-driving cars," the company said on its blog. This new phase of the Waymo test process will give participants daily access to its fleet of driverless vehicles, taking them anywhere they want to go within an area that's about twice the size of San Francisco. In previous testing of driverless cars, there have been some fender-benders. But as we recently reported, most have involved other vehicles rear-ending the driverless car. In the first nine months of this year, California reported 19 accidents involving self-driving cars, a fraction of the 285 vehicles being tested on public roads. Kelley Blue Book analyst Akshay Anand says Waymo's early progress is shaking up the automotive industry, but predicts change won't happen overnight. "Regulations need to be hashed out, unforeseen driving factors need to be figured out, and more," he said. Some consumer groups have raised questions about the safety and reliability of the technology piloting driverless cars. A coalition of consumer and highway safety groups gathered in Washington last month to urge Congress to tap on the brakes before giving autonomous vehicles a green light. Joan Claybrook, a former administrator of the National Highway Traffic Safety Administration (NHTSA), said proposed legislation legalizing driverless cars was heavily influenced by auto and tech companies. "It puts the federal auto safety agency in the back seat in terms of ensuring industry accountability," Claybrook warned. Supporters of autonomous vehicle technology say the driverless cars hold the potential to greatly reduce traffic deaths, which numbered close to 40,000 in 2016, according to the National Safety Council. Either way, Anand says, Waymo’s forward motion with testing has positioned it as "a central player in the space.